I built the first of these guys while testing the control circuits for some wearable LED blinkers that would be built into costumes for a Christmas parade. The general goal was to have lots of white LEDs twinkling like snowflakes. To make sure the patterns looked right, I needed lots of LEDs, and this was a convenient way to get them all in one place. 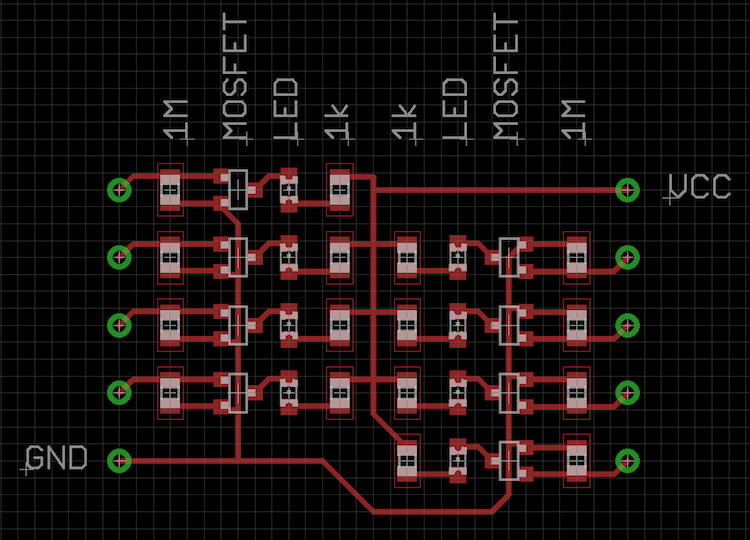 Since then, I've found it convenient to have batches of LEDs pre-wired and ready to go. There's always a need to make something blink. and the same going the opposite way on the other side. The high impedance also makes the circuit easy to drive. 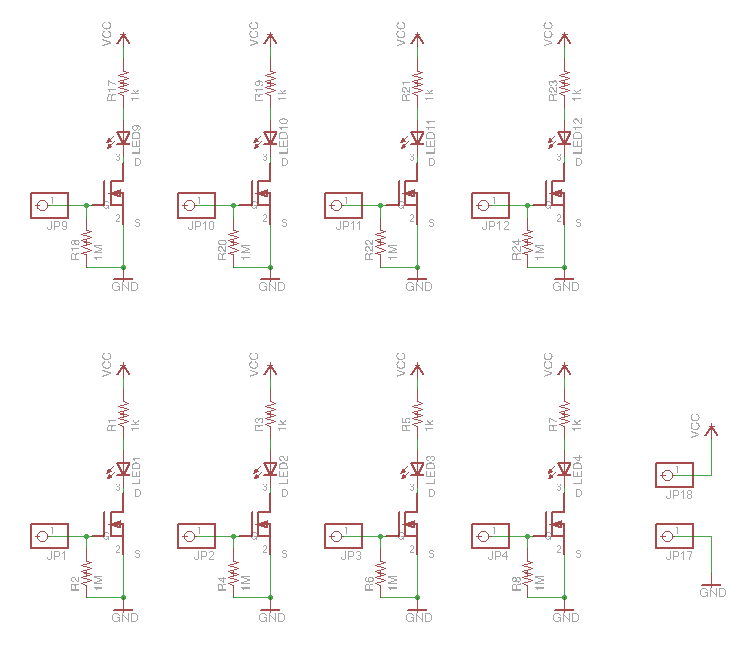 There are of times when it would be handy to attach an LED to something, but you can't afford the 10-20mA an LED would consume if you connected it directly to that point. This setup only draws a few microamps (almost all of it going through the 1M resistor), so you can drop it in almost anywhere. It was handy for me because I had 16 output channels to watch while I was working on the costumes. 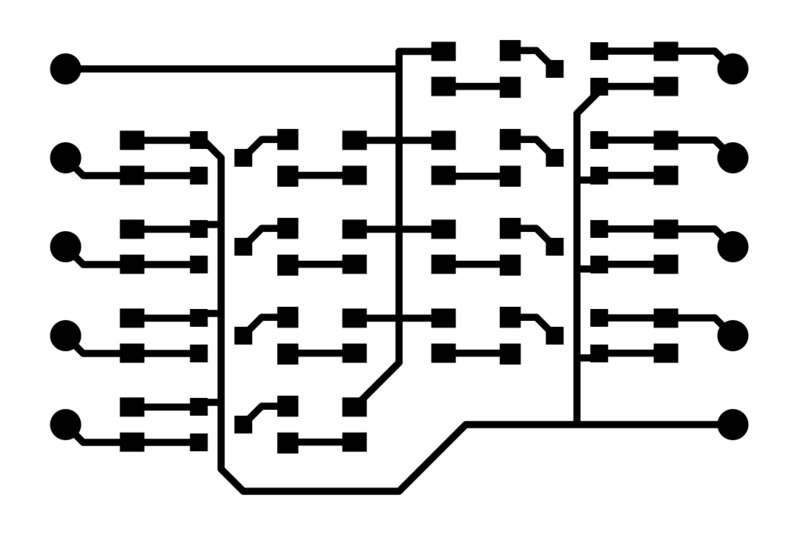 The new part here is the 2N7002 N-channel mosfet. It's a nice little device: It's rated for 200-300mA of continuous current, but can handle pulses up to an amp if they're short enough and the supply voltage is high enough (10v or higher). The voltage necessary to turn it on is about 2v, and its ON resistance is less than 10 ohms if you use a gate voltage of 4v or more. None of those specs is particularly amazing (I have mid-power mosfets rated for 3A of continuous current whose ON resistance is about 1/20th of an ohm), but it's a good first choice for "I want a switch and don't want to futz around with bipolar transistors, just gimme a mosfet" applications. Best of all, it's cheap.. as in, "costs less than the resistor next to it" cheap. 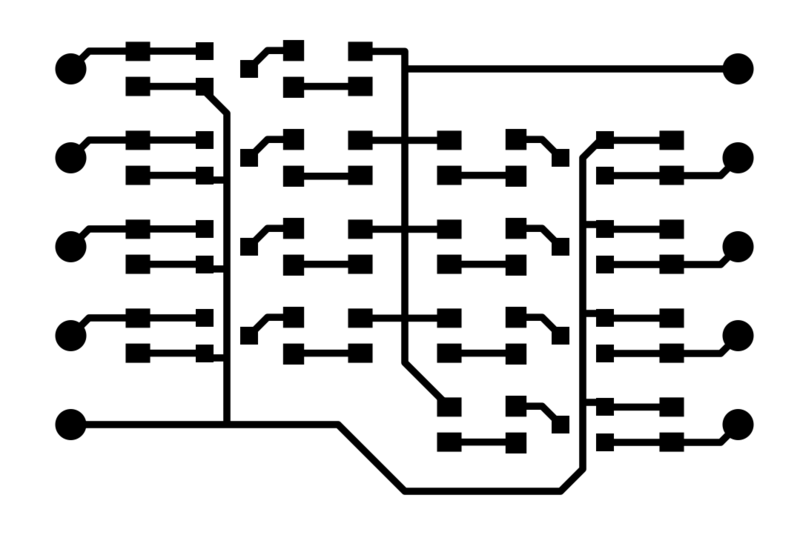 Resistors usually go for about 2c each, and this link from Mouser has 2N7002s at $1.70 per hundred. If you want to splurge, you can blow $4.00 and get 250 of them. At that price, each LED circuit costs about 10c. The smaller board will cost you about 80c ($1.50 if you buy your parts in small quantities) and the big one will cost twice that. As I said at the start though, building these will give you plenty of practice handling and soldering the parts. 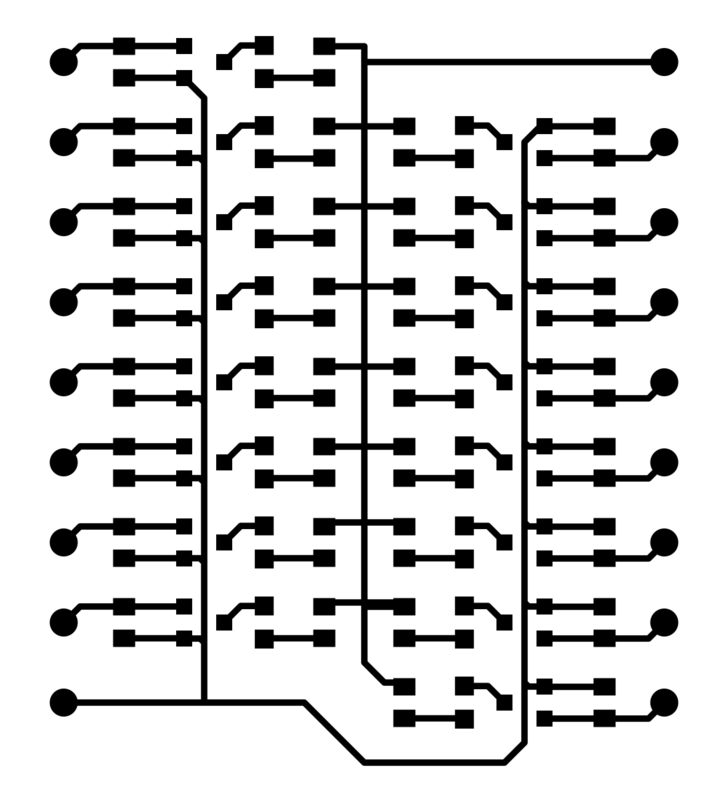 The smaller board has 48 components, the larger one 96. 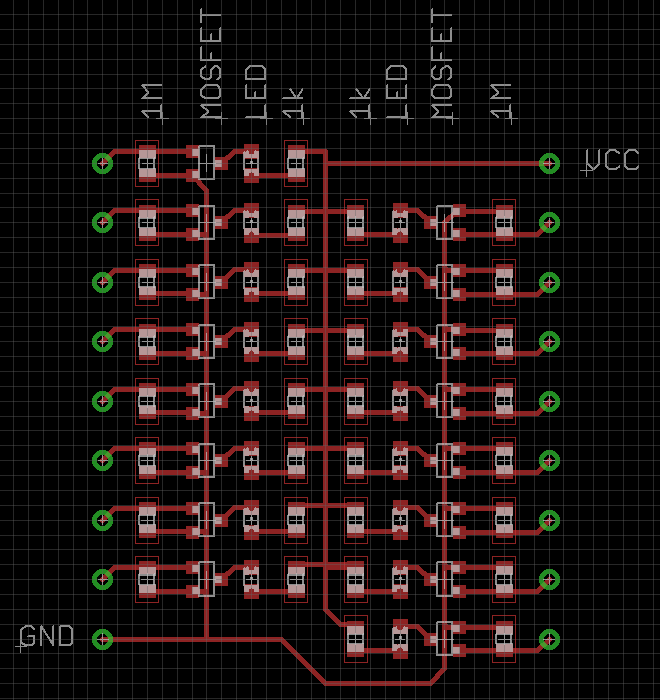 Given the sheer amount of repetition, the ease of testing, and the fact that most of the components only cost a couple of cents, I'd say the larger board is a good starter project. 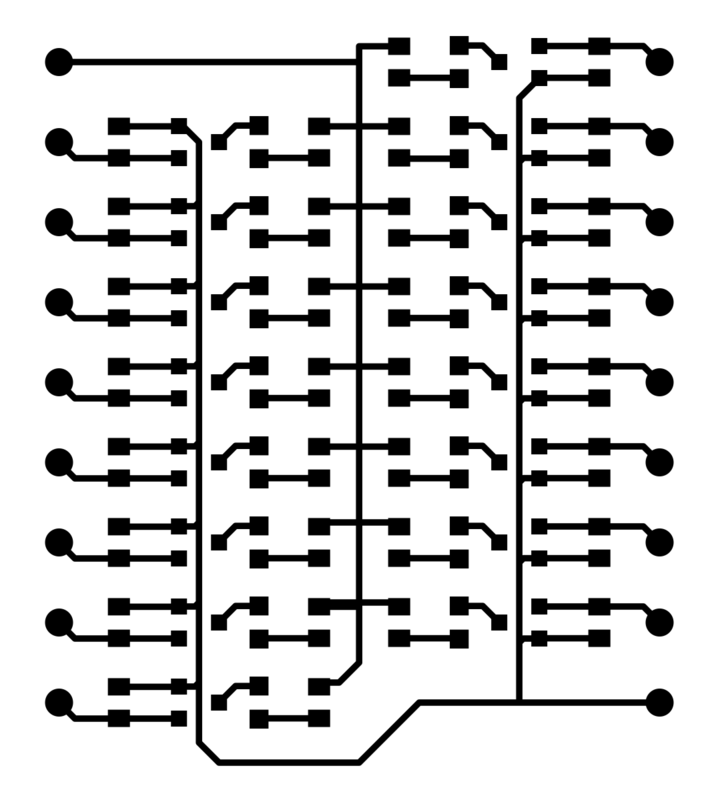 As usual, all files in the tarfile or zipfile are available under the terms of the TAPR Open Hardware License Version 1.0.